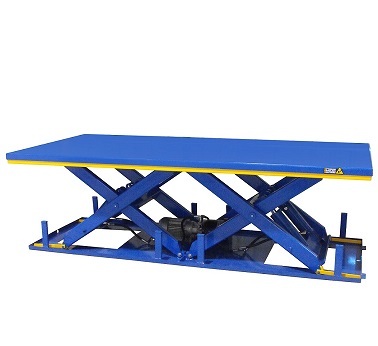 Optimum's compact 1 tonne heavy duty scissor lift tables have multiple uses from pallet and product elevating to adjustable height welding tables and work benches. 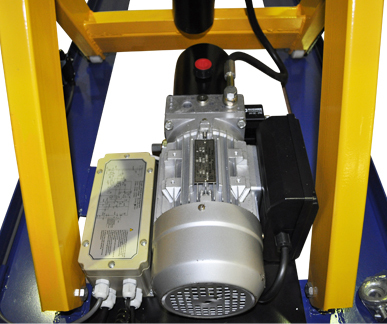 Fitted with durable Italian ‘BUCHER’ hydraulic power packs these units can be relied on even in the toughest conditions in the processing and mining industries. Available with custom platform sizes we can assist you with your exact requirement. 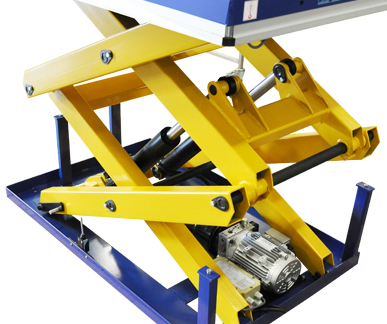 Optimum’s robust range of 4 tonne heavy duty scissor lift tables are frequently used in the transport, mining and heavy machinery industry where dense objects need to be elevated for repair or assessment. 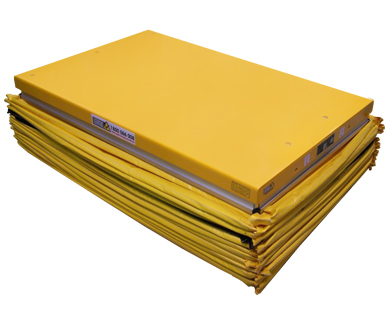 With massive platform sizes up to 4m long they are also commonly used as dock levellers and goods hoist in many different industries. 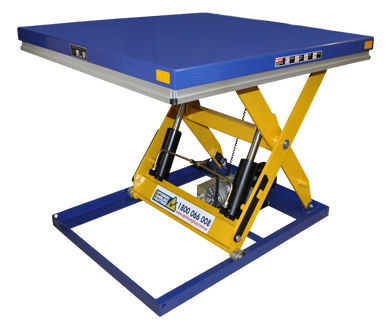 If a capacity of 4000kg is required then check out our custom scissor lift tables of up to 12,000kg! 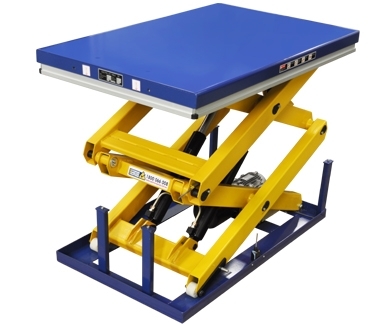 Optimum's versatile and very popular 1-4 tonne double scissor lift tables are the perfect choice for lifting heavy loads up to heights of 2 metres. 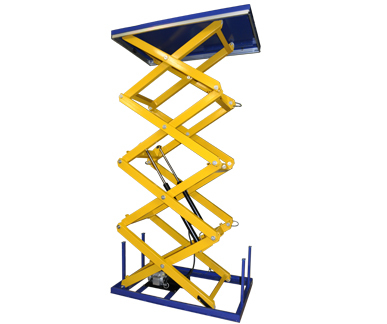 Used in the manufacturing and processing industry to elevate pallets where products are being loaded up to 2.0m high - where operators are working up on a raised work platform solving the hazardous operation of lifting above shoulder height. 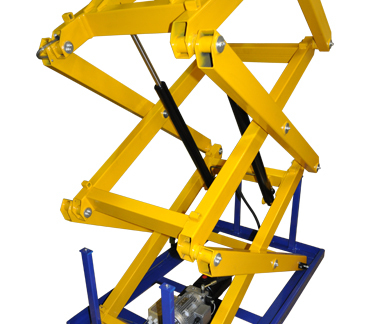 Also commonly used as pit mounted goods hoists and mezzanine lifts for many different applications. 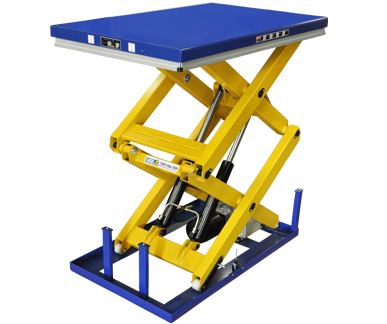 Optimums High Lift Scissor tables have the capacity to lift loads up to 4.2m high with our standard models and 12m on custom models. 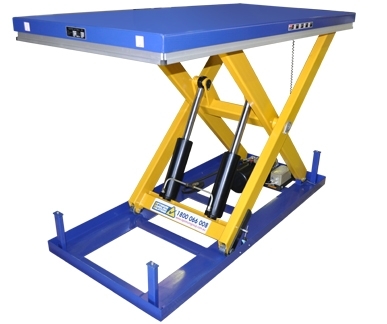 With a very compact foot print, stable base frame and multiple scissors you acquire a high-lift table suitable as a work platform, goods elevator, pallet elevator or pallet stacker and is also an excellent solution where there is a need for handling goods from different floor levels. 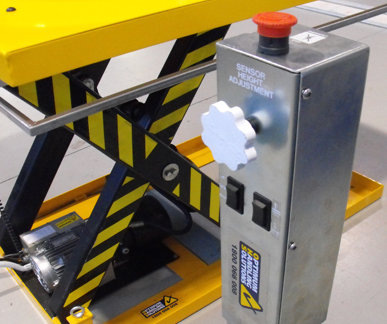 With our customisation service we offer Optimums high lift scissor tables can be equipped with safety devices as locking device, handrails, interlocked doors, protective curtains and vertical support rollers. Contact our team to discuss your requirements. 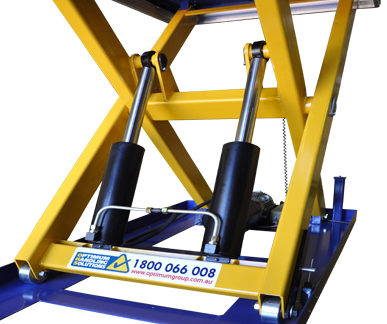 If you'd like more information or if you have any enquiries about the High Lift Scissor Tables, please call 1800 066 008 or click HERE to contact us online and we will contact you. 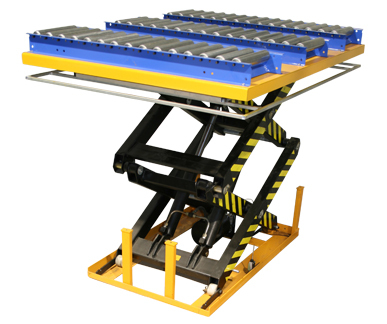 Automatic height detection: The Logic Lift® photo eye is adjusted to a comfortable working height for each individual operator and then automatically controls the level of the scissor lift table so that the pallet layer being stacked is kept constant. The operator does not have to press any control buttons once he has started stacking the pallet. The logic lift photo eye sensor also works in the opposite direction when pallets are being unstacked. 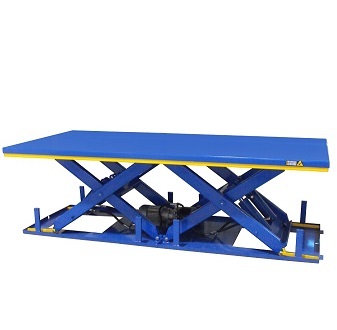 The scissor lift table is automatically elevated as each layer is taken off. If you require specific advice on material handling solutions, let us help you make the right decision. 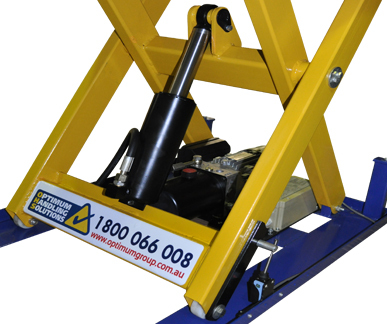 Whether it be from our Australian production items or our import lines, we are dedicated to use our industry specific knowledge to provide a materials handling solution to help you. 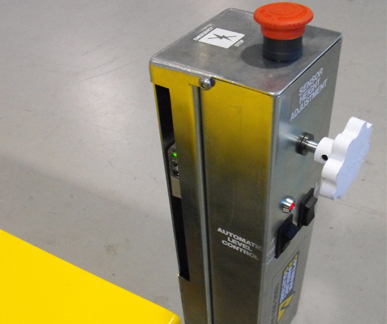 If you'd like more information or if you have any enquiries about the Logic Lift - Auto Eye Height Sensor Option, please call 1800 066 008 or click HERE to contact us online and we will contact you. 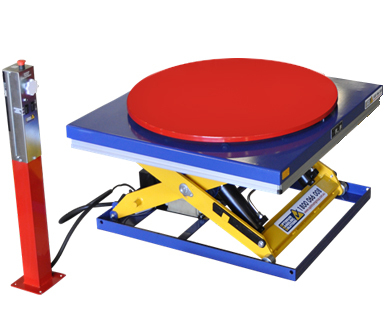 Optimum Handling Solutions specialises in custom design and fabrication of high quality custom table top accessories to suit your scissor lift application. 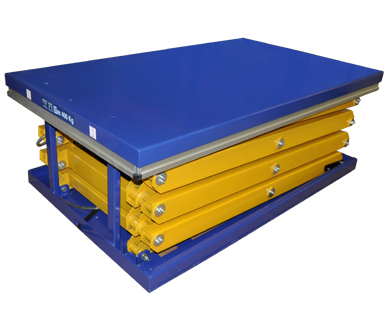 Whether it’s some custom stillage locks, a rotating turn table top or a more involved raise roller conveyor system to handle 4000kg ULD containers we can assist you with your application. Optimum Handling Solutions evaluates your needs, develop strategies & provides solutions at the right price every time. 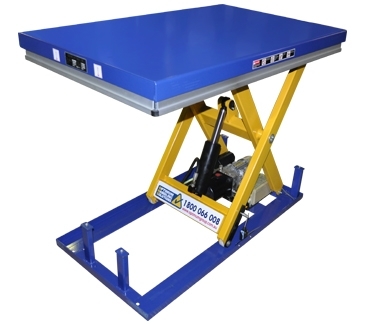 If you'd like more information or if you have any enquiries about the Custom Tops for Scissor Lift Tables, please call 1800 066 008 or click HERE to contact us online and we will contact you. 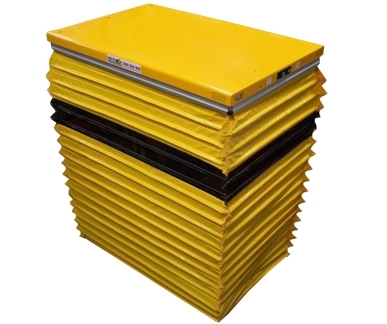 If safety is your number 1 priority and your sites working conditions are dusty and corrosive then a concertina safety skirt will provide the protection every scissor lift and your personnel need. With many different lift heights, top sizes and colours available contact our experienced sales staff to discuss your needs. 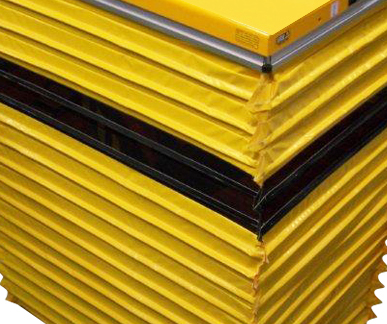 If you'd like more information or if you have any enquiries about the Concertina Safety Skirt, please call 1800 066 008 or click HERE to contact us online and we will contact you.